Darth Sunshine: Get Ill Blog Hop! Welcome to the GET ILL BLOG HOP! I'm the last stop on this fun play on the Get Well bandwagon! If you haven't already had the flu, maybe you'll get it soon. I mean that in the BEST possible way! Or...if you're like ME, when you get your flu shot, you will for sure get sick! I just spent the last week getting over a mini-flu (that's not a medical term for real)....I got my flu shot and about 24 hours later I wasn't sick enough to NOT WORK, but sick enough to take Theraflu and DayQuil. ANYWAY...I digress!!! This card (above) has the Medallion stamp embossed in white on Elegant Eggplant cardstock. 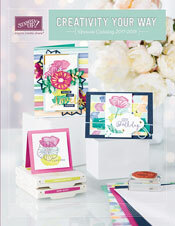 The greeting is inked with a marker and comes from the Grateful Greetings set in the Holiday Mini catalog. The ribbon is Ribbon Originals-Mistletoe, also from the Holiday Mini catalog. With this card I inked up a couple of the flowers from the Pretties Kit (Stampin' Up!) with Elegant Eggplant classic ink and attached them with silver brads. The rick-rack (can you even see it? it's in the middle of the card LOL) is from the Ribbon Originals-ORCHARD. All papers are from Stampin' Up: Elegant Eggplant, Old Olive and Night & Day Decorative Series Paper (DSP), all inks are Stampin' Up as well: White Craft, Elegant Eggplant, Old Olive, Basic Black. I used the Stampin' Up Jumble Alphabet for "flu" and Gina K Designs "Nurse Feelgood" for my syringe. 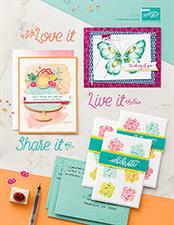 The sentiments come from Stampin' Up's Full of Life or Grateful Greetings. My friend Auntie Princess of Etsy fame is going to be judging our cards--all in good fun. (I'm my own worst critic EVAH.) But in tribute to my friend, please visit her awesome Etsy Shop for all things awesome and vintage. She is amazingly talented!!! Now...if you happened by my blog and this whole blog hop thing has you a bit confused, PUHLEEZ start at the beginning with my friend Leslie Hanna's site aka The Crooked Stamper and see how this GET ILL got started!!! SO FUN!!! FULL OF LIFE!! Oh I would have loved to be there for THAT Dana laugh. Ahh - I'm wiping my eyes. The Medallion stamp plate is rolling over in its grave I'm sure! TEE HEE HEE! How much do i love this colour combo and your art work. The syringe and the fonts work perfectly together! But of COURSE! The flu shot theme! PERFECT! I congratulate you on your use of SU sentiments, too. So creative! WV: pronall. Doc, I am sick from my flu shot. I think I need some pronall. BRILLIANT!!! So incredibly well done. Tying in the flu/syringe/colors *and* your own personal experience just made this an awesome card. Love these cards LOL...what fun! Colour combo rocks...the white medallion..OMG..so doing this!! !